MATTHEW O. JACKSON is the William D. Eberle Professor of Economics at Stanford University, an external faculty member of the Santa Fe Institute, and a senior fellow of the Canadian Institute for Advanced Research. He has been researching social and economic networks for more than twenty-five years and has published Social and Economic Networks, a leading graduate-level text on the subject. Jackson is a member of the National Academy of Sciences; a fellow of the American Academy of Arts and Sciences, the Econometric Society, and the Game Theory Society; an Economic Theory Fellow; and former Guggenheim Fellow. He has reached more than a million students via his popular online courses on social and economic networks and game theory. "Compelling... Why can’t money buy you mobility? The Human Network is most fascinating and convincing in addressing this question... 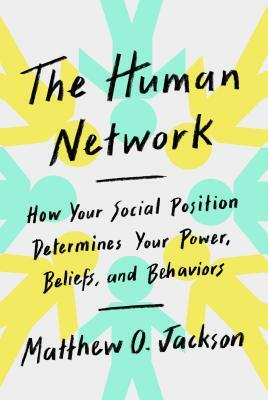 Professor Jackson manages not only to present a lot of complex research engagingly but to show how the key concepts of network theory relate to a wide range of contemporary issues, from financial contagions to the spread of fake news."